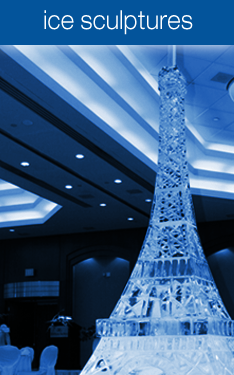 providing ice, dry ice, ice machines and ice sculptures for over 25 years. 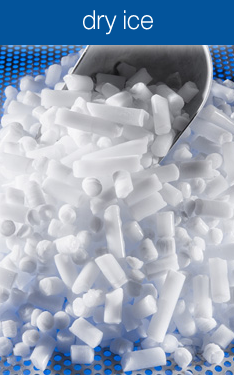 We supply the GTA with packaged ice, dry ice, ice machines, and ice sculptures—we’re your one-stop-shop for all things frozen! 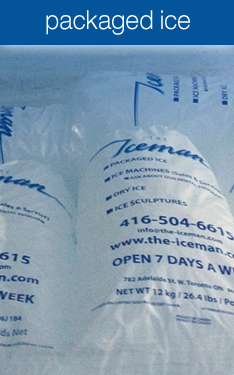 The Iceman has been proudly serving the Greater Toronto Area for over 25 years. We pride ourselves as Toronto’s experts on packaged ice, dry ice, ice machines, and even ice sculptures—how cool is that? 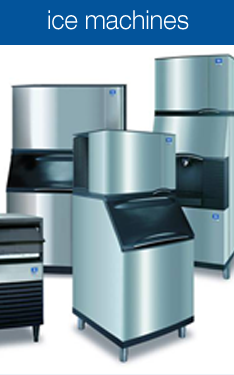 We also offer ice machine repair, dry ice shipping services, and custom ice cube and sculpture design. 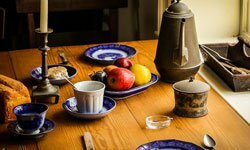 Our downtown Toronto location is ideally located to supply and serve your restaurant, bar, night club, hotel, hospital, clinic, or event venue. You can visit our location for on-site ice pick up, or set up a scheduled ice delivery.